Louisville Chrysler Dodge Jeep RAM drivers, did you know that you are less than 15 minutes away from great cars and fantastic service? We have a large selection of new Chrysler, Dodge, Jeep, RAM trucks waiting for you to take out for a test drive. Start your search in the comfort of your own home. We have many options for you to check out so you can afford the car of your dreams. View pictures, watch videos and ask for more details to get more information related to your car of interest. Not sure what you’re looking for? Let us help you. On our lot you’ll find a variety of Chrysler cars that are classic options. Check out the popular Chrysler Pacifica, which is a top pick on our lot. When you’re looking for a Dodge, scroll through the body styles including the sedan, SUV, and van to find one that fits your lifestyle. Schedule a test drive and you’ll see what makes the Dodge brand so popular. Looking for some adventure? Jeep cars are known for their fantastic off-road abilities. Take the Jeep out for a spin and you’ll see what all of the buzz is about. Check out our selection of Jeep Cherokee – Jeep Compass, Jeep Wrangler and Jeep Grand Cherokee. Our new RAM trucks will help you get the job done quickly and efficiently. Browse through our selection of new crew cabs, quad cabs, or regular cabs on our new inventory. We have many great incentives and deals available for you to check out. We want you to save, so we have designed our website in a way that will help you do just that. See something you like? You can simply request an E-Price and you will receive a special price quote by email. Contact us for more information. When you’re not in the market for a new car, check out the services that we can provide. Our skilled and trained technicians can do everything from a simple maintenance repair to a complete engine tune-up. Looking to schedule a service appointment? Simply fill out the service appointment request and select your preferred appointment time. Also select the type of service that you need including any of the following: oil change, coolant flush, transmission flush, engine tune-up, tire rotation and much more. 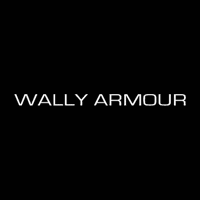 At Wally Armour, our service center near Louisville, we are happy to help you get back on the road with confidence. For more information, give us a call at (877) 358-5646 today!